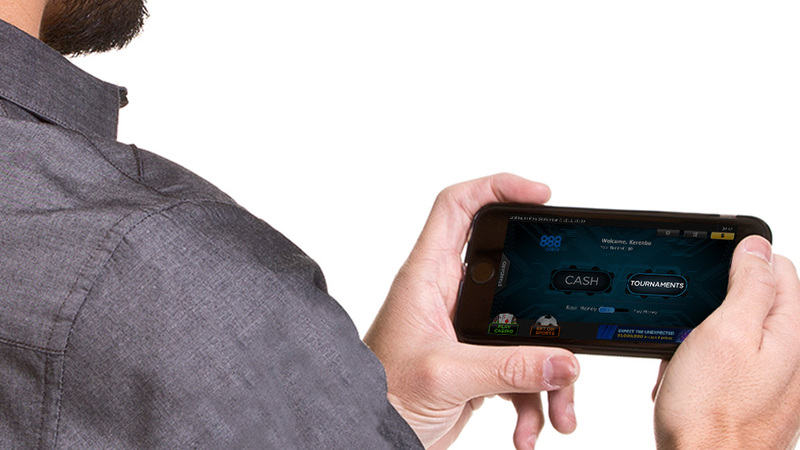 displayed on poker table icons in the main lobby of the 888poker mobile app: Cash games, Sit & Go Tournaments and Scheduled Tournaments. Each button will direct you to the requested game. 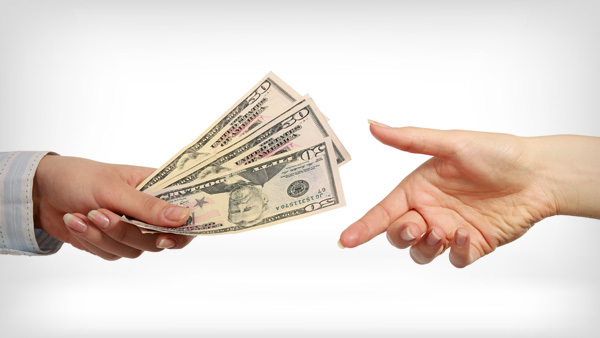 Below these icons, you can toggle between “Real Money” or “Play Money” games. When you select Sit & Go, a new screen will open where you can choose from Number of players, Tournament Speed and Buy-in amount. You can use the sliders to make your selections. Players: Choose the number of players you wish to play with, including yourself. 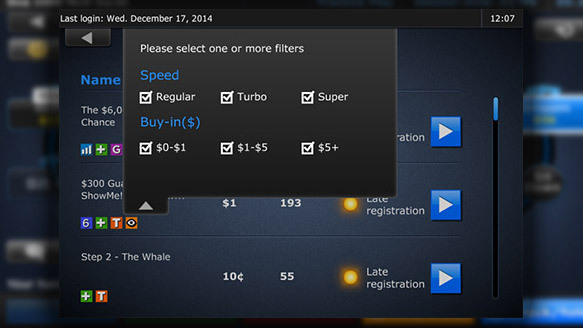 Speed: Choose your game speed from Normal, Turbo or Super Turbo. 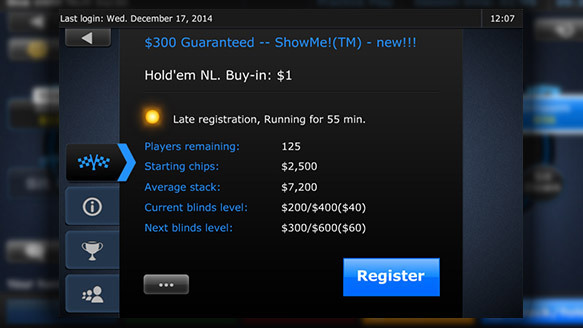 Buy-in: Select your buy-in fee from the options provided. Tap Play to open a tournament lobby matching your preferences. 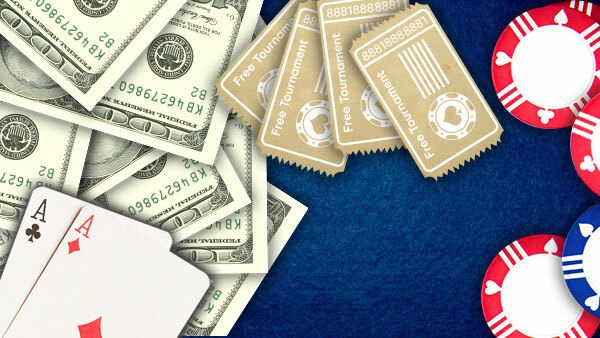 will open with all the relevant information about the Sit & Go Tournament: Tournament ID, Buy- In, Starting chips, Blinds increase and prize distribution. On the right of the screen, a list of registered players for the selected Sit & Go and the number of available seats left will appear. This will update constantly until the Game begins. 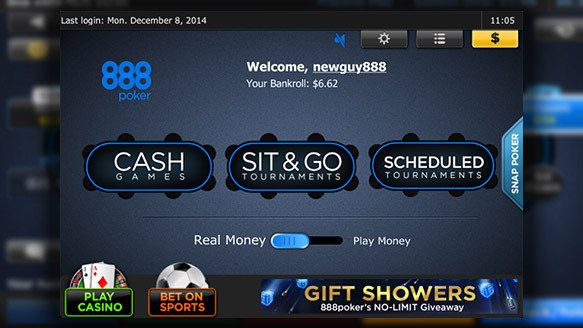 A Register\Unregister button will also appear on the screen. tap on the Register button. 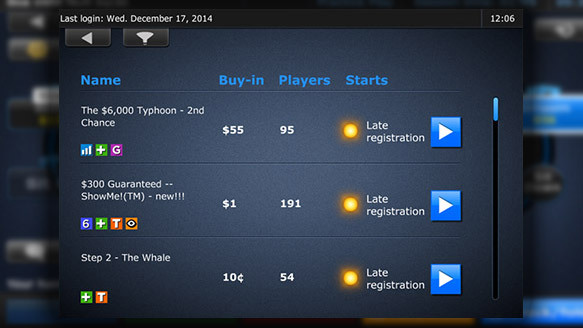 Once you choose the Scheduled Tournaments button, the upcoming tournaments screen will open. Here you can preview the status and number of players registered to the upcoming tournaments (a list of tournaments which will start in the next 60 minutes, in addition to some other selected tournaments). according to your preferences, by tapping on the filter button on the top left side. 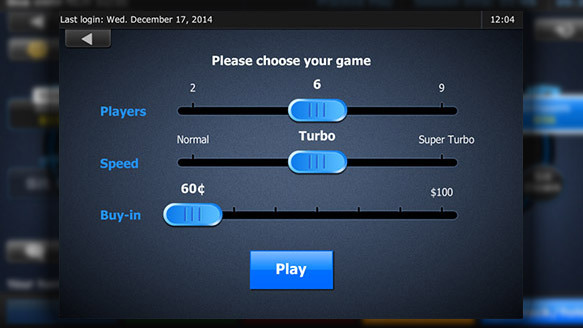 Here you can select the Speed and Buy-in of the tournaments you’d like to see. for further details and registration, tap on the blue arrow button. You’ll be informed that you were registered successfully after tapping the “Register” button. 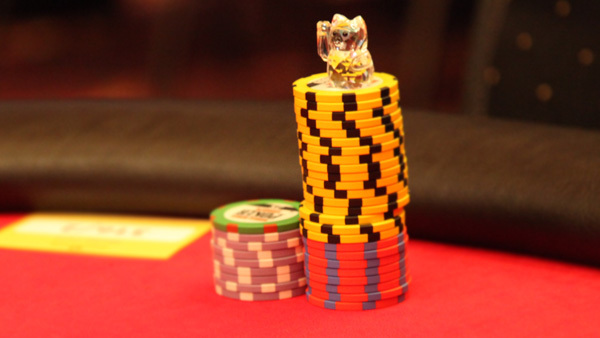 Once the tournament starts, you’ll be seated and informed on which table you will be seated.